WKO4 iLevels, the newest metric for cyclists and triathletes training with a power meter, are specific training levels based on an athlete’s unique physiology and current level of fitness. 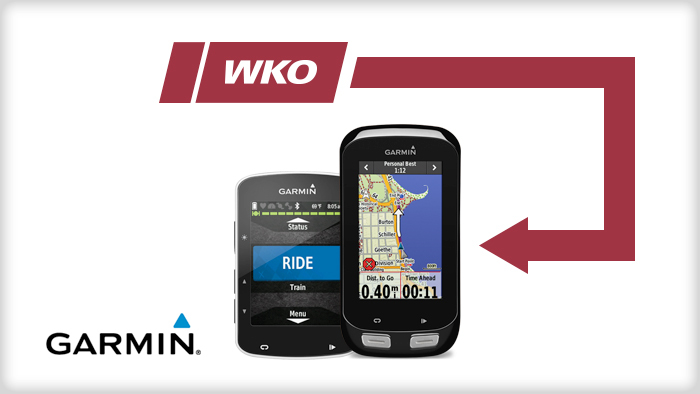 Users of the Garmin Edge® 520 and Edge® 1000 bike computers will now be able to update their iLevels directly from WKO4 by simply plugging in their device and auto uploading the daily iLevels to their Garmin. These iLevels will be displayed as 9 power zones on the Garmin head unit and be available in the Garmin workouts. WKO4 software has changed how coaches and athletes are able to analyze data and prescribe workouts. Fully customizable charts allow users to view and compare any data they want in order to gain clearer insights into their training. Based off the introduction of the Power Duration Curve, WKO4 has introduced several new training metrics including Functional Reserve Capacity and Pmax tracking to better help coaches and athletes track their specific fitness. To learn how to individualize your training using WKO4 iLevels join Timothy Cusick and Dr. Andrew Coggan in a live introductory webinar. Register for the U.S. webinar on May 4th or the U.K. webinar on May 5th.